Whether you're looking for a fully-integrated public relations and marketing campaign or a one-off brochure, Above and Beyond has the expertise and skills you need. With more than 30 years’ experience and an award-winning journalist on our team, it’s no surprise that media relations is a core strength for us. 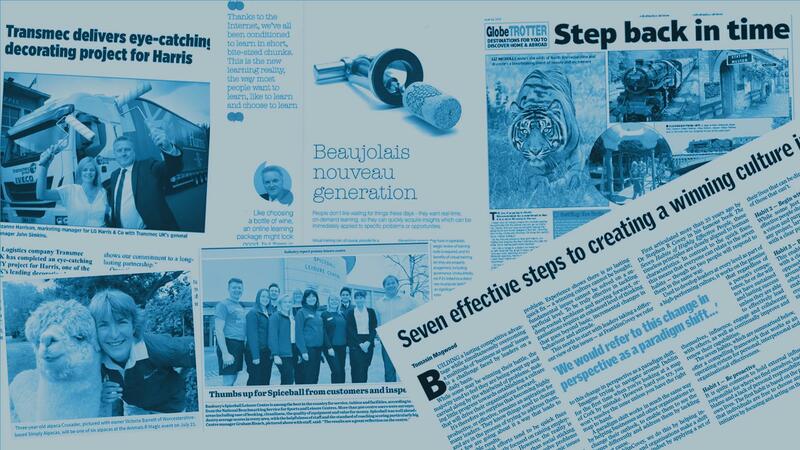 From drafting press releases and features to building effective relationships with print, broadcast and online media, we know exactly what it takes to achieve and sustain headline coverage. To Tweet or not to Tweet… for many businesses social media is a daunting experience that threatens to take up time and resources. We have extensive experience of helping clients get the best from social media. From advising on strategy to writing engaging posts, we can help you develop an online presence that gets you noticed and conveys your culture. The key to effective digital marketing is conveying the right message to the right people at the right time. As part of an integrated digital marketing strategy - linked to your website, social media and PR - we'll produce great-looking campaigns. We'll also help you to analyse the results and follow up in the most effective way. Whether you’re looking to develop a new brochure, case studies an advertisement or literature to support a specific marketing campaign we have the skills and expertise to help you get your message across. Renowned for our copywriting skills, we pride ourselves on delivering engaging content that hooks people in. In today’s world, reputations can be shattered in a matter of minutes. We can help you prepare for the worse-case scenario by drafting crisis plans and providing communications training for designated spokespeople. In the event of an issue breaking, we can also advise on media response and monitoring reputation impact both on and offline. Over the years, we’ve devised and implemented a range of campaigns to engage employees and ensure mutual understanding between management and staff. Including staff presentations and briefing documents, newsletters and focus groups, we ensure that critical, new or even sensitive messages are communicated in a compelling, consistent way.